Police-involved killings in the U.S. continue with no end in sight. Today, the Madison, Wisconsin D.A. 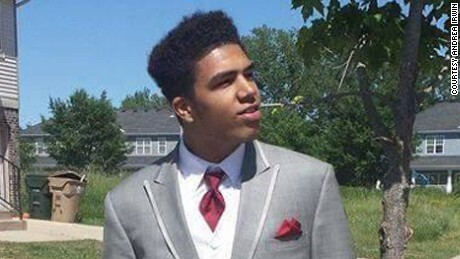 Ismael Ozanne announced that there will be no charges brought against the white police officer for shooting and killing 19-year-old Tony Robinson Jr. on March 6. With that murder, and the announcement of no indictment, Tony Robinson’s names gets added to the long and growing list of names-turned-hashtags for young black and brown people killed by police where there is no justice in the wake of their death, and likely no peace in Madison. 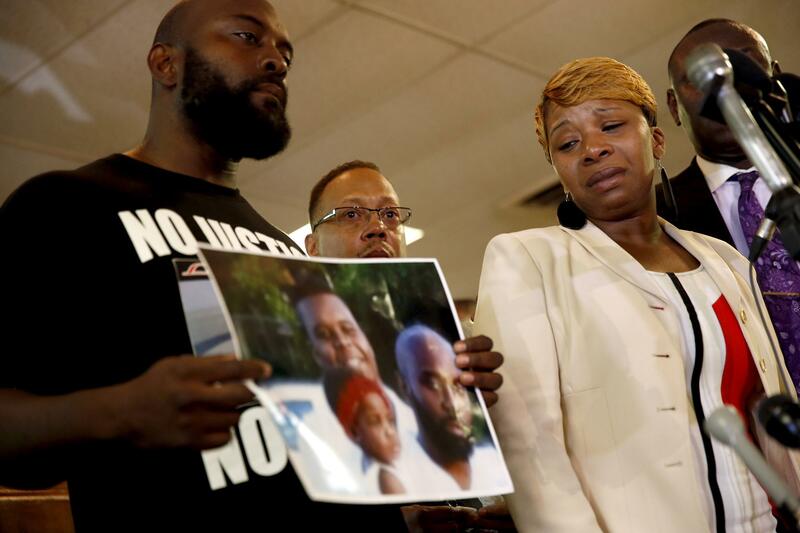 Comprehensive data on rate of death for police-involved killings is difficult to come by because no federal agency is tasked with collecting it in any systematic way. Even the FBI failed to count at least half the number of people killed by state and local law enforcement officers in the past decade, according to a government report released in March. In the wake of such a failure of basic data collection, citizen and activist groups have started compiling their own statistics through crime and media reports. 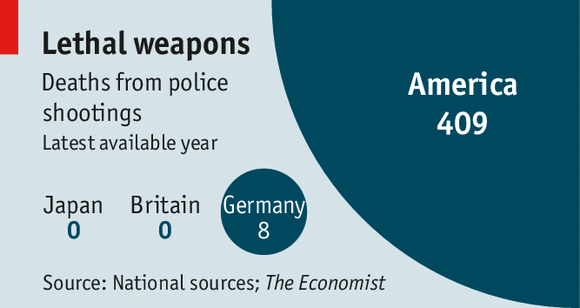 One of the most comprehensive projects to date is a website called Killed By Police. The site logged nearly 1,500 police-involved deaths between January 1, 2014 and April 30, 2015 and included documentation for each incident. If this were the spread of an infectious disease, the CDC and public health officials around the nation would be scrambling to find a solution. 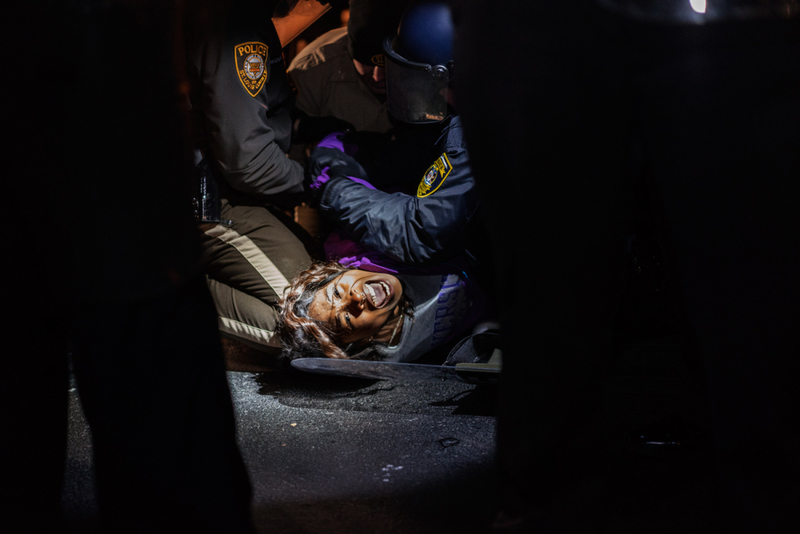 Yet, as it is, this use of deadly force by police against black and brown people continues virtually unchecked by any individual or institution. It has not gone unnoticed by the rest of the world, however. Yesterday, the United Nations’ Human Rights Council slammed the U.S. over our abysmal human rights record. Among the human rights abuses that the U.N. called attention to were police violence and racial discrimination, the Guantánamo Bay Detention Facility, pervasive surveillance and the continued use of the death penalty. But it was the issue of racism and police brutality that dominated the discussion during the second universal periodic review (UPR). Country after country recommended that the U.S. strengthen legislation and expand training to eliminate racism and excessive use of force by law enforcement. Last month, Chris Rock made news after he started documenting the number of times he’s been pulled over by the police and posting the photos on Twitter. Rock didn’t state the reasons as to why he was being pulled over, but people assumed that he was making a point about being racially profiled. In a recent interview with The Guardian, Rock discussed being profiled and the recent uprising in Baltimore. “It’s not that it’s gotten worse; it’s just that it’s part of the 24-hour news cycle. What’s weird is that it never happens to white kids. There’s no evidence that white youngsters are any less belligerent, you know? We can go to any Wall Street bar and they are way bigger a–holes than in any other black bar. But will I see cops stop shooting black kids in my lifetime? Probably not,” Rock said. I hope Chris Rock is wrong, but it doesn’t look like he is today. With the passing of Rodney King (which I talked about yesterday), there’s a collective sense that video has changed everything in the digital era when it comes to racism. Now, the saying goes, the whole world is (really) watching and that changes everything. 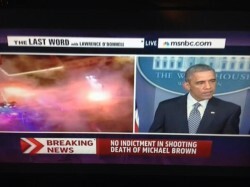 And yet, it’s the video footage that helped acquit the white officers that assaulted Rodney King. How is that possible? 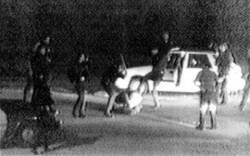 There are clue to the answers to this question in the scholarship that emerged shortly after the videographic evidence of the brutal, racist beating of Rodney King. 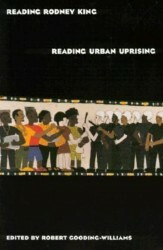 Most notable here in the scholarly literature is the anthology Reading Rodney King/Reading Urban Uprising (Routledge, 1993) edited by Robert Gooding-Williams, Surprisingly, none of the eulogies and elegies to King (even the ones by academics) have mentioned this volume by Gooding-Williams. It was a remarkable volume at the time it appeared, so close after the uprisings following the verdicts, and it still holds up some 20 years later. So, what Butler is saying here is that even when it seems that we have incontrovertible visible evidence of racism, the “seeing” of that evidence is contested in various ways. To be more precise, Butler argues that it is the “white paranoia” that pervades contemporary US culture which made it possible to “see” the defense gestures of Rodney King – as he lay being beaten – as evidence of his threat to whiteness. As we mark some 20 years since the Rodney King beating, acquittal of the LAPD officers in Simi Valley and the uprisings in Los Angeles that followed, it may be comforting to think that digital cameras are more ubiquitous now than they were in 1992. Yet, to assume that digital video cameras alone (or, the digital cameras in smart phones), are going to address the plague of police violence and brutality is at best naive.